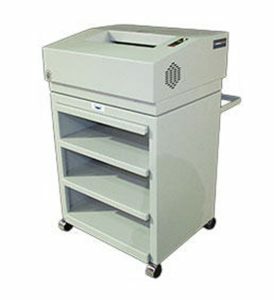 Bankers Equipment Service provides a wide variety of quality document management solutions for retail businesses from check encoders to paper shredders. These high performance easy to use products are designed to fit a wide variety of organizational environments. Our goal is to find the right solution to meet your unique document management needs. For over 40 years Allegheny, a partner of Bankers Equipment has built superior equipment in response to the needs of our customers. From low to high volume shredding, we will work with you to find the right solution for your business’s needs.